Out of all the hair products that exist, dry shampoo’s definitely the MVP. Since you’re technically not supposed to shampoo every day—especially if you want your color to last—dry shampoo’s the hero that can ensure you’ll still have a good hair day, even after a big-time sweat sesh. Of course, not all are created equal. These hair saviors can come in spray or powder form and are typically universal for all textures and colors of hair, but one of the big problems is that they can leave a white, baby powder-looking residue at your roots. Well, professional hair line Verb has two more personalized dry shampoos (one for blondes, one for darker hair) that have such a cult-following that they have a 2,000 person waitlist—and these aren’t even out yet (they launch May 1). 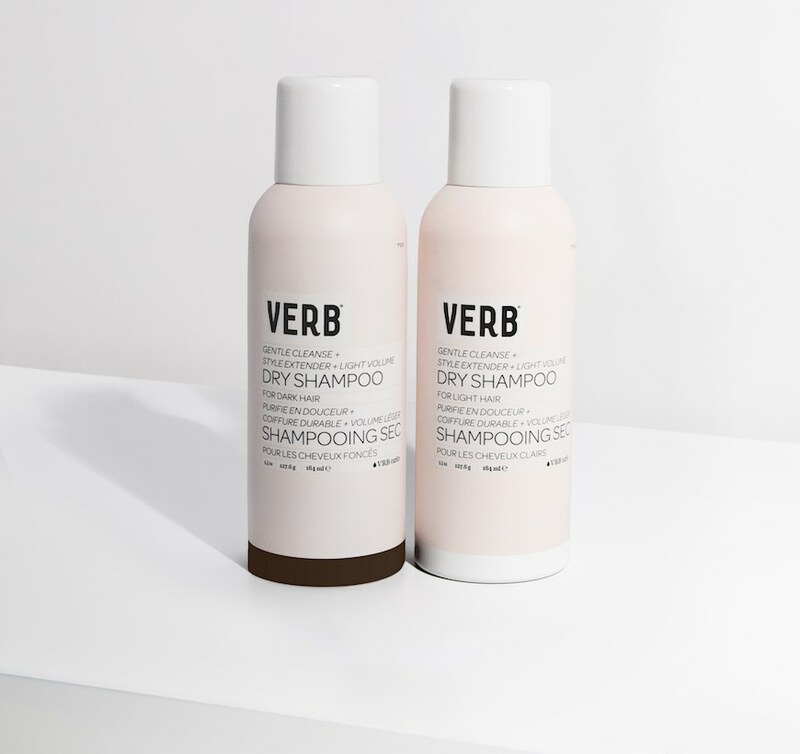 There’s the Verb Dry Shampoo Light—a purple formula that counteracts brassiness in blondes—and Dry Shampoo Dark, a tinted version that adds dimension in brunettes and darker strands. Both cost a mere $16 (the whole line does in fact) and contain zero sulfates, parabens, or gluten. The brand decided to do a waitlist for the launch, and 1,000 signed up within 12 hours—NBD. And so they created these two—your new gym bag BFFs. Hop in line. This is why you should put dragon’s blood extract in your hair. But don’t forget about your scalp.